leasing fashion, presenting them in a way that would convert the window shoppers into prospects and ultimately buyers of the product. A creative and talented retailer can use this upcoming art to breathe in new life into his store products. Passion for design and creativity are essential to be a good visual merchandiser. A perfect design process and the ability to create ideas that are different are required. 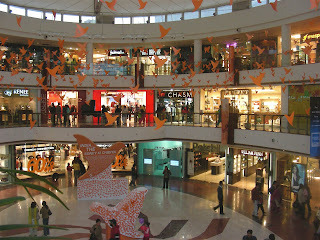 Awareness of happenings in fashion world is needed so as to keep up-to-date with the dynamics of the market constantly. Visual merchandising includes window displays, signs, interior displays, cosmetic promotions and any other special sales promotions taking place. care while proceeding with the process of displaying his products. These components when combined together in a proper ratio will make a successful outcome. product and should not suppress them to make it discernable to the eye. Color is one of the most powerful tools in the Visual Merchandising segment. It is a visual perceptual property. Colors can be associated with emotions, special occasions and gender. It attracts attention and pulls more customers into the store. 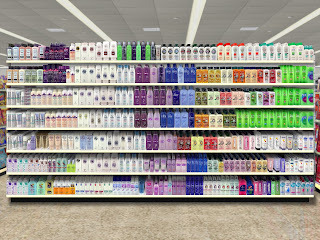 A retailer has to focus on the right choice of color that would match with the theme of display. It is not possible to satisfy everyone all the time, but it is possible to cultivate the taste of customers gradually and purposefully. A right choice of colors in the display items can turn walkers into stoppers and significantly convert them into customers. It is therefore mandatory to choose the right color for the right theme of display. A Halloween display would require black color in the display theme. Valentines theme should be ruled by red color supplemented with pink and white. A display of babys accessories should reflect light shades of pink and blue colors. A Christmas display should contain colors of red, green, gold and silver. A theme is a display of sale items of similar categories e.g. a display of kitchen accessories. Its essential to have themes for all retail displays. They can be romantic, wild, or capricious, and capture peoples imaginations. A good theme will lure the customer with a shopping mood into the store. Themes mainly depend upon the retailers imagination and creativity. Focusing on the right theme rather than creating a display with expensive raw materials is the key to successful window display. A shoe store theme can be a group of elves buying shoes. A theme for display of casual wears can be a group of mannequins sitting casually at a get together in different poses. Related themes will tug the heartstring of the customers and will pay off. The content of the display should complement the in store environment and other marketing strategies of the retailer. If the retailer has a specific logo, the colors of the display can reflect the same color of the logo. For e.g. MacDonalds display, the clown is of the same color, red and yellow as in their logo. Neat and clean arrangement is the foundation of an inviting a successful visual display. A beautiful display can be ruined by a cracked sign holder or an unclean display environment. Effective cleaning schedule of showcases and display fixtures is required. Changing the arrangement of the displays in regular intervals will initiate new interest about the products in the minds of the customer. By designing a plan-o-gram and activating changes frequently one can thus be a proactive retailer. With globalization and the retail boom, visual merchandising is growing in leaps and bounds. It is not simply concerned about decorating a store beautifully; but must also symbolise the brand keeping the target audience in mind.